The countdown to the inaugural Columbia Threadneedle World Triathlon Leeds has begun with the full route detail for the event being released today. The much-anticipated event, which forms part of the prestigious International Triathlon Union (ITU) World Triathlon Series, will see many of the world’s finest triathletes and over 5,000 amateurs take to the streets of Leeds on the same course on the same day on Sunday 12 June. Full route details of the elite and mass participation races, which still have final entries available in the sprint and beginner events, have been revealed today and can be found at leeds.triathlon.org. 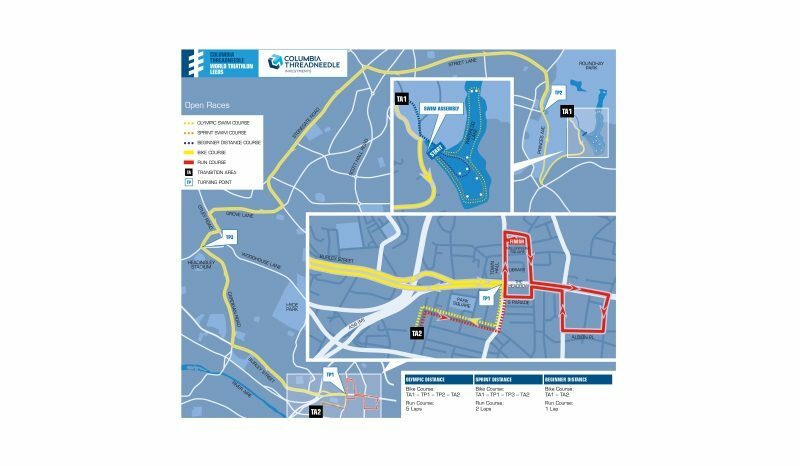 This includes an animation of the elite course, while an interactive route map will be able to be seen from 09:00 today at leeds.gov.uk/worldtrileeds. The elite races are expected to feature home grown stars Alistair and Jonathan Brownlee as well as Leeds-based duo Non Stanford and Vicky Holland, taking on their rivals from across the globe in the British athletes’ final event on home soil before the Rio 2016 Olympic Games. Starting with a 1500m swim in Roundhay Park’s Waterloo Lake, the world’s best male and female triathletes will then make the transition to their bikes and follow a 42.5K ride through Roundhay, Moortown, Meanwood, Weetwood, Headingley and Woodhouse before completing seven circuits of a city centre loop. They will then transition on Millennium Square from bikes to the run segment – covering 10K in four shorter laps of the city centre loop and culminating in a thrilling finale of the event to be played out on the finish line on the square. The unique point-to-point route has been designed to provide the best possible spectator experience, especially in the city centre where crowds watching the bike and run elements will see the field pass them multiple times. Crowds are encouraged to show their support and enjoy the chance to see the world’s best in action for free, recreating the incredible atmosphere of the unforgettable 2014 Tour de France Grand Départ and again showcasing the city and its residents to a watching global live television audience. The UK Sport National Lottery-funded #EveryRoadtoRio event is being organised by British Triathlon, Lagardère Sports, Leeds City Council and the ITU. 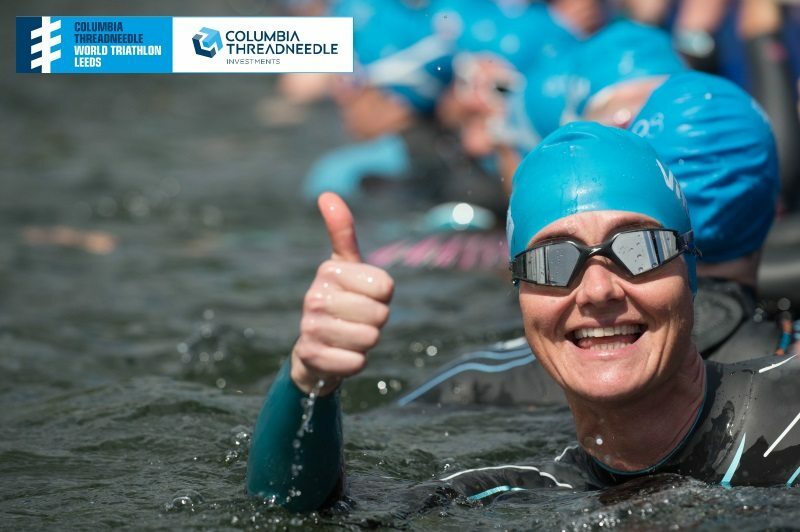 Leader of Leeds City Council Councillor Judith Blake said “We are delighted to be able to finally reveal the full route detail for the first-ever Columbia Threadneedle World Triathlon Leeds which will be one of the standout must-see events of the year in our city. Full road-by-road details of the elite route can be seen in the notes section below. All properties along the route impacted by the event will be receiving the first of two letters from today with initial details, information and guidance concerning the event. Roads around the route are expected to close by 05:00 at the latest on 12 June, and will be closed for a minimum of 12 hours with the route needing to be completely clear of vehicles. A second letter with further details will be issued in the weeks before the event. Access for emergency vehicles will be maintained through the event and emergency services, health and social care providers, community meals at home and other agencies are working together to ensure care and support individuals may need is provided. With the elite races taking place in the afternoon, they will be preceded by the mass-participation events in the morning offering approximately 5,000 amateur triathletes the chance to take on the same course as the professionals, with the only slight differences being variations to the bike and run elements to cater for the different distances being completed and the second transition point being on the former site of the Leeds International Pool. All competitors will enjoy the chance to cross the same finish line on Millennium Square. Athletes can sign up for the final entries in the sprint and beginner events at leeds.triathlon.org/enter_now. Anyone keen to volunteer at the event can express their interest via leeds.triathlon.org//event_info/volunteer. The previous day, Saturday 11 June, will see a range of activities taking place in Roundhay Park offering families and people of all ages a sample of triathlon before the main event. Full details of the Saturday programme will be revealed in the weeks to come.